Creativity is an act of making something new. 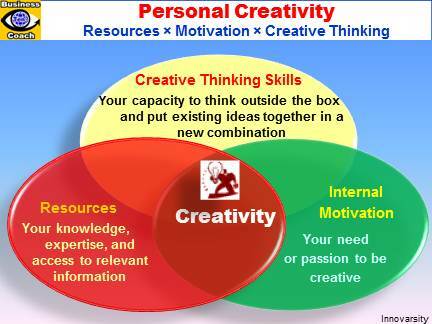 It is a process involving the generation of new ideas or new associations of the creative mind between existing ideas. Creativity is a skill and a talent that can be learned and developed through practice by sharpening relentlessly your creative thinking skills and exercising your natural creative powers. With this skill, you can dramatically accelerate your personal and professional growth.